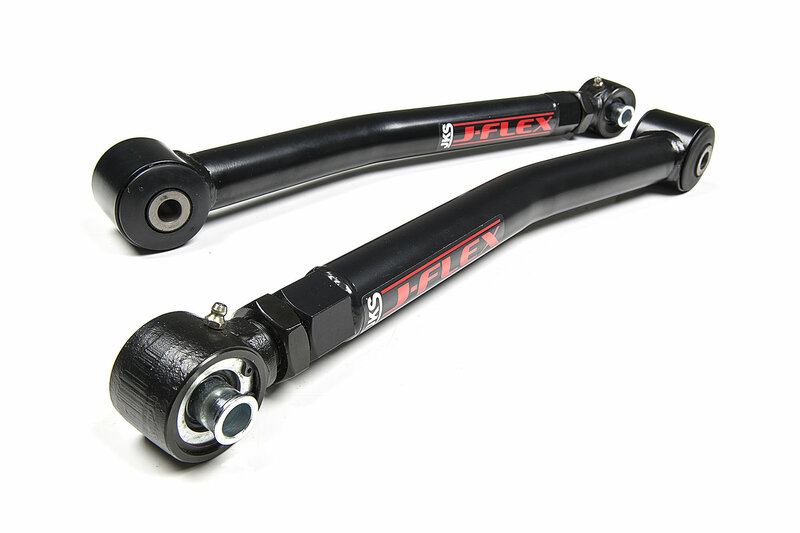 JKS Manufacturing Forged Series Adjustable Control Arms. 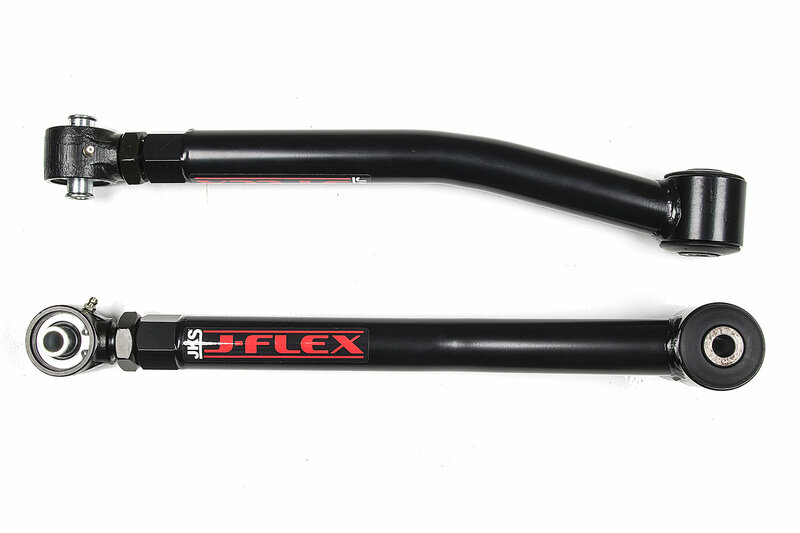 These new arms follow a traditional Jeep adjustable arm design utilizing a forged adjustable flex end and jam nut setup for adjusting the length. The forged end is fully rebuildable and greaseable. 1-1/4-12 threads provide ultimate strength and fine-tune adjustability. The arms are made from DOM tubing and incorporate a unique hex shaped weld-in threaded bung for easy tightening of the jam nut. 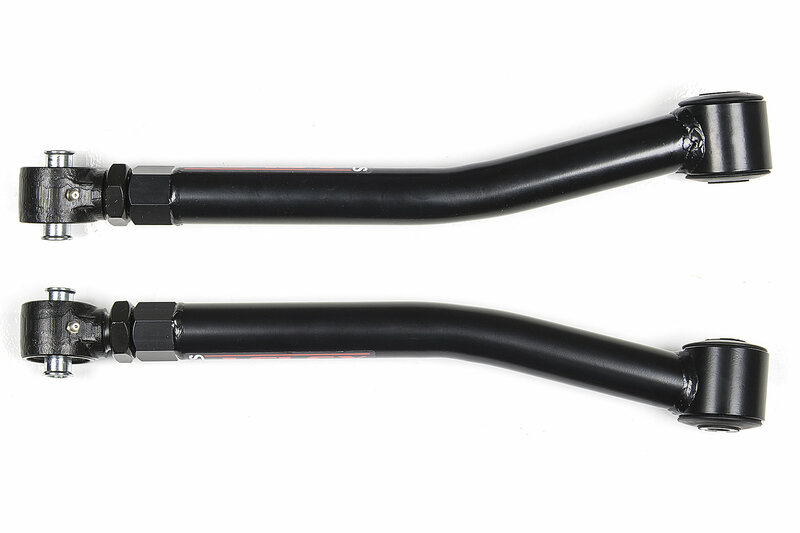 The arms also feature factory style rubber bushings at the non-adjustable ends for quite, maintenance-free operation. All arms are CNC formed for proper tire, frame and axle mount clearance. The durable and sleek all-black paint scheme provides a clean look. The small JKS oval decal lets everyone know you bought the best. All arms are designed for lift heights of 0-6. These new kits are a great together or as a complement to the JKS adjustable rotating arms in most any existing suspension system. 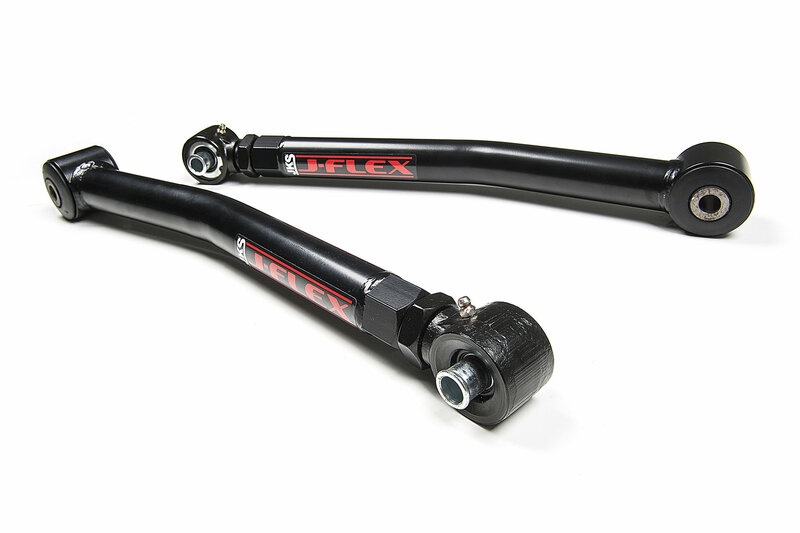 1-14 threads provide ultimate strength and fine-tune adjustability. Make sure you review online before attempting this install. It took a while but I was able to install on my vehicle, a big slow down was removing the existing upper control arms after 60K-plus miles (2012 used JKU). Note, accessing the passenger front bolt to install the new control is especially challenging as it is essentially a blind install and your hand is not in a leverage point. I do recommend these nonetheless and had no problems driving home (over 100-miles) after installing. I will get an alignment and dealer service bay check for a piece of mind. JKS Manufacturing recommends, alignment and check after 500-miles.